1982 and since 1989 has practiced exclusively in the areas of Criminal Law and Traffic Offences in Melbourne and all Suburban courts in Victoria. As an Accredited Criminal Law Specialist since 1997, Tony Danos has expert knowledge and extensive experience in all areas of Criminal Law and, as a Criminal Law Specialist, Tony can help you achieve the very best possible outcome. 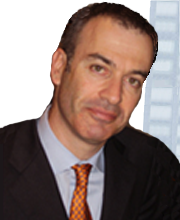 In 1994 Tony started his own legal practice (Tony Danos Lawyers) solely representing defendants charged with criminal offences and driving offences in Melbourne, Victoria.